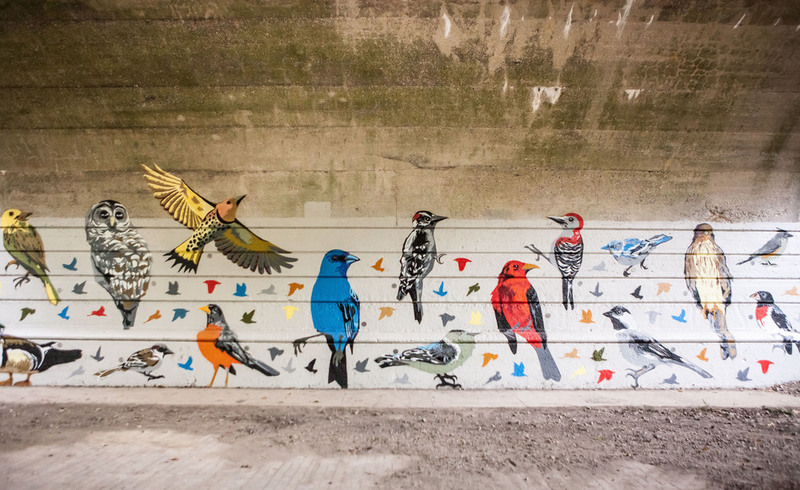 Featuring thirty-five resident and migratory birds in Ohio, the mural transforms the underused underpass of the 100-year old Indianola Bridge, into an educational and leisure space. 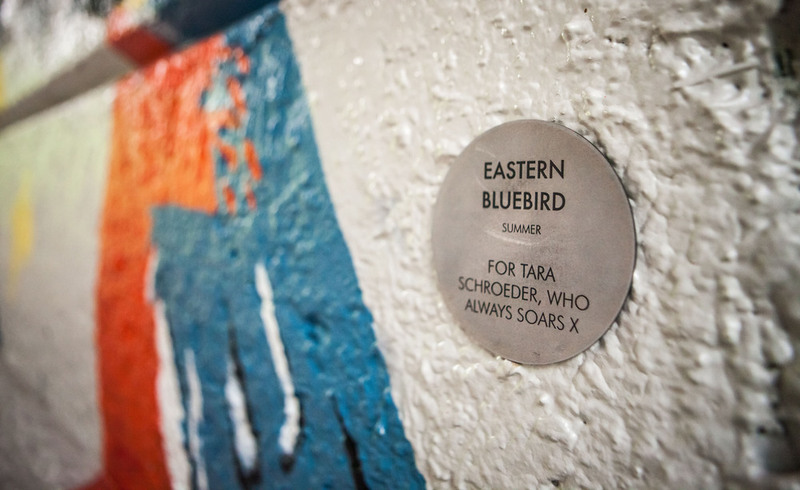 The underpass is a frequent target of graffiti and neighborhood groups formulated plans for a mural to tackle the issue. 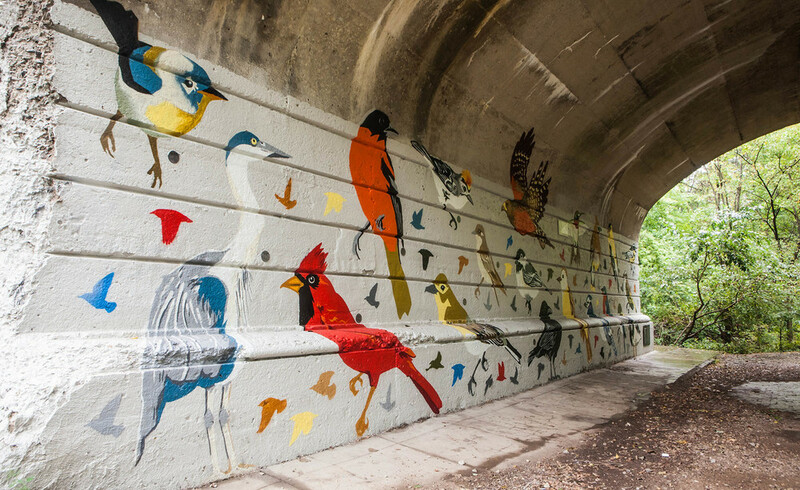 The design is to acknowledge the site, Glen Echo Ravine, as the natural habitat of many birds. 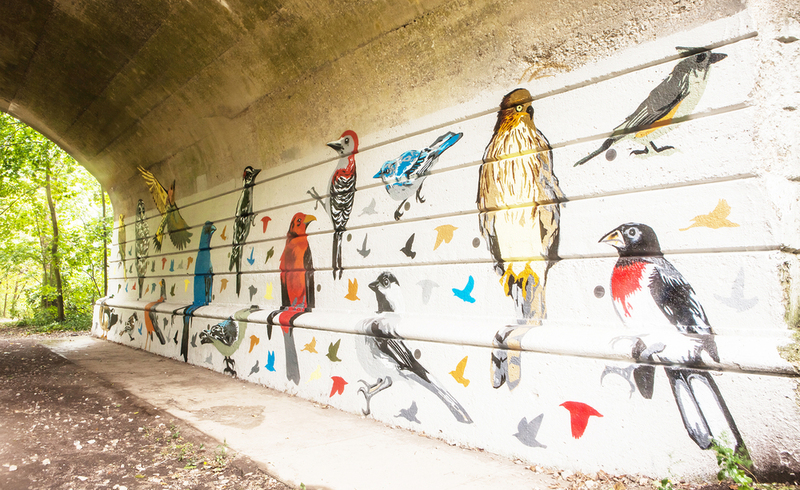 The mural is created as the first step toward transforming the underpass into a bird sanctuary. 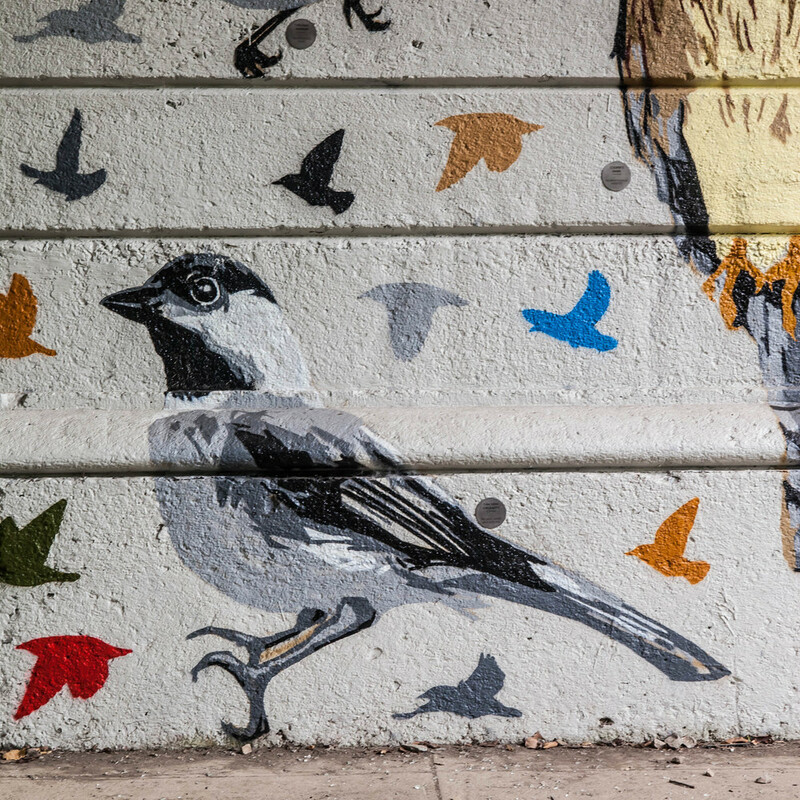 The process empowered the neighborhood as residents took ownership of the mural and the area in general. 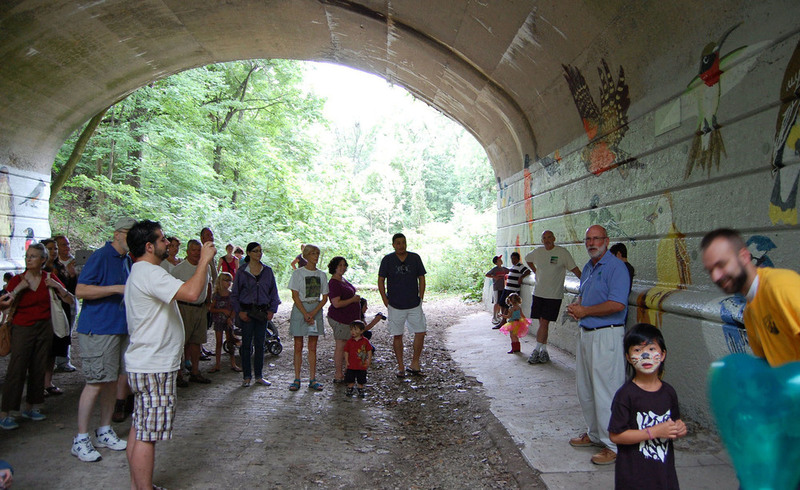 This community mural was made possible through the partnership of ALTernative, Friends of Lower Olentangy Watershed, Friends of Ravines, Lower Olentangy Urban Arboretum, and a core group of 9 neighbors. The mural was recognized by the Columbus Landmarks Foundation and won the President’s Award 2012 for its creativity towards historic preservation.